Clearly defining your customers is the first step to developing a dynamic marketing plan. In other words, your company must know how to make and apply marketing personas in order to stack up against the competition. Need some inspiration when it comes to implementing these personas? Luckily, the way big brands promote their products and services gives us an idea of who they’re targeting. Learn from successful case studies that demonstrate how top corporations weave their defined personas into marketing strategies. Time and time again, Apple has exceeded expectations with annual marketing campaigns that lead to the release of new tech products. In 2011, we saw the tech giant change directions from catering towards the everyday consumer to targeting young business professionals. This transition became most obvious during the launch of their new iPad 2. Commercials featured iPads being used for analyzing stock information, reading books, sending business emails, and digging into medical reports. Building out a business-oriented persona helped Apple capture exactly how and when these young professionals would find their product helpful. Keeping this target at the forefront of their campaigns, they effectively drew in customers who saw themselves reflected in Apple’s ads. When leveraging your own persona, remember to ask yourself: “Why should this person care?” If your marketing doesn’t appeal to your character’s interest, the campaign is sure to fall flat. Some form of Red Bull advertising can be found in almost every action sport on the West Coast. 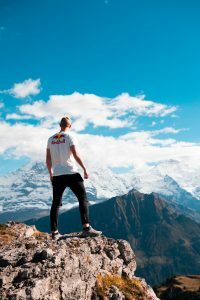 Red Bull even headlines its own extreme events — from air racing to cliff diving competitions — to effectively cultivate buzz around interests that align with their target audience. Through extensive research and interviews, Red Bull created a very distinct persona: young, Millennial men who live on the West Coast and participate in an adventurous lifestyle. Red Bull even defined the income of this persona, what he purchases with his energy drink, and which stores he’s likely to purchase from. This kind of info creates a better buying experience for actual consumers. Depth of research matters! The more defined your character, the more likely your company is to attract buyers who can relate to your semi-fictional persona. Treat your persona like a real person, and your sales will soar. Over the years, JetBlue has developed their “low budget traveler looking to fly affordably, yet expecting the hospitality of an expensive airline” character. Creating an incredibly specific model has helped them attract a niche of loyal flyers. They offer affordable flights, but price doesn’t sacrifice experience — JetBlue displays one of the top-rated customer service teams of any airline. Additionally, their young, social savvy persona is reflected in JetBlue’s social media posts, especially on Twitter. The airline implements youthful terminology in their online ads to cater towards a younger demographic. Social media posts often include popular slang phrases, gifs, and memes that resonate with Twitter culture, too. Take a page from JetBlue’s book! Don’t discount your persona’s social media preference and sense of humor. 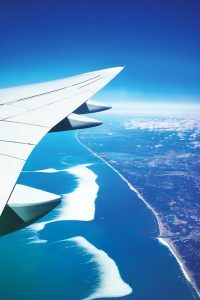 Had JetBlue attempted the same campaign through Facebook or direct mail, the company would have experienced vastly different results. Find where your persona spends his or her time, and make your brand present there as well. Building out a persona is one thing, but implementing that model requires a whole different kind of marketing expertise. Next time you’re feeling stuck, look towards some of the biggest brands for inspiration on how to leverage your persona. Then, contact Print Tech to get the ball rolling!